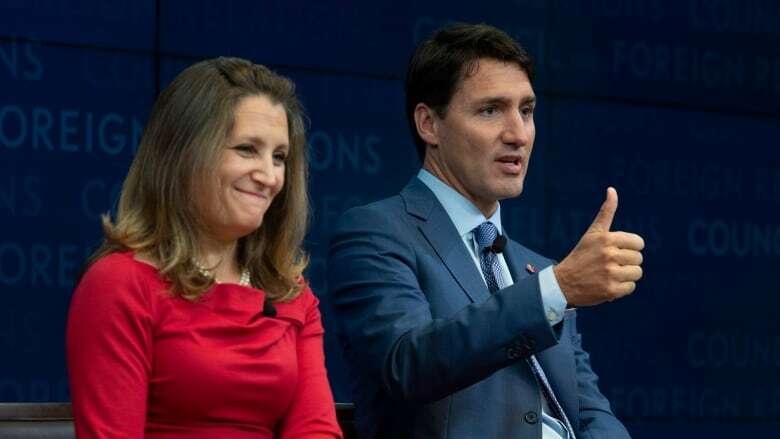 Prime Minister Justin Trudeau and Foreign Affairs Minister Chrystia Freeland have held 19 high-level discussions with foreign heads of government, ministers and diplomats in an effort to rally support for several Canadians now being held by China. But it remains unclear if the tactic of publicly rebuking China through the Canadian government, its allies and others will achieve the kind of result Ottawa wants. "I think what would be most effective are the quiet, backdoor channels — not in-your-face big statements," said Lynette Ong, an associate professor, Department of Political Science and Asian Institute, at the Munk School of Global Affairs and Public Policy. "The whole point of the Chinese authorities getting into all of these detentions is to look strong, so even though we want them to give in, we don't want [China] to ... lose face, and that is not about capitulating to China, it is about being smart with our strategy," she said. Others are unsure taking the dispute behind closed doors is likely to secure the release of Kovrig and Spavor. "I think that this idea that anything can be solved through backdoor channels, and to be polite in public in the face of extremely rude behaviour of the Chinese, is really ridiculous," said André Laliberté, a professor with a focus on China and comparative politics in the School of Political Studies at the University of Ottawa. "I think that if Germany and other important countries start to also plead for that issue, it would have an effect, I would hope," he said. "I think that China is losing an enormous amount of soft power in behaving the way it does. It's actually quite puzzling why the government would behave that way." Stephen Saideman, Paterson Chair in International Affairs at the Norman Paterson School of International Affairs at Carleton University, told CBC he doesn't think the letter with its 140 signatures or the public statements by allies are likely to secure the result Canada wants. But, he doesn't think it will harm Canada's case either. "I think China is making a big mistake in all of this. But I am not sure that China is going to respond to whatever pressure it is going to get from the world, in part, because they have these internal processes that we are really not all that sure of," Saideman said. An earlier version of this story said the government had made 20 high-level calls about the detainees in China. In fact, the government has made 19 calls.